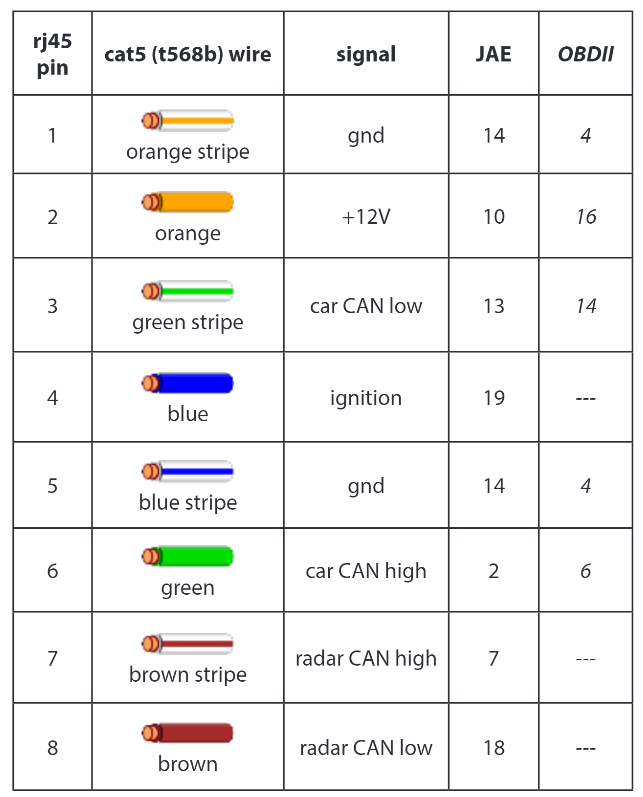 The following instructions describe how to get comma.ai's Openpilot working on a "Classic" Tesla Model S. The classic Model S does not have autopilot hardware but does have the same steering control system and servo as the autopilot Model S and therefore can be controlled through electrical signaling (specifically one of the car's CAN buses). These instructions would also work on an autopilot Model S, but the controls for engaging openpilot vs. the car's autopilot could be confused so caution is advised. 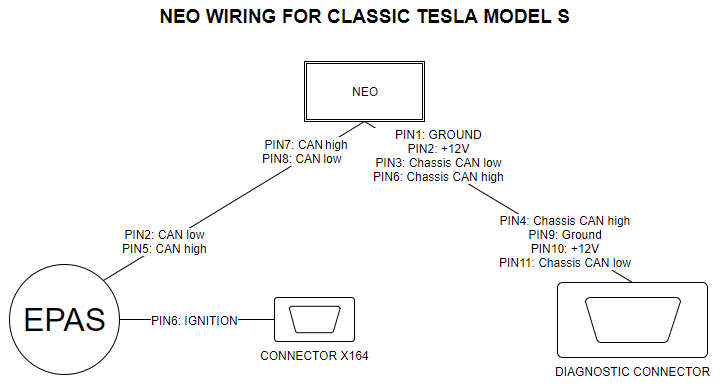 To get openpilot working on an autopilot Tesla Model S, omit the section on Bypassing the EPAS kill signal. It is assumed that the reader has built a Neo and all software is installed. Please read the instructions in their entirety before starting as the sections aren't necessarily written in chronological order. DISCLAIMER: The author of this document takes no responsiblity for the content of these instructions and anyone following these instructions does so at their own risk and is responsible for complying with any applicable local laws and regulations. The car has 5 CAN buses. 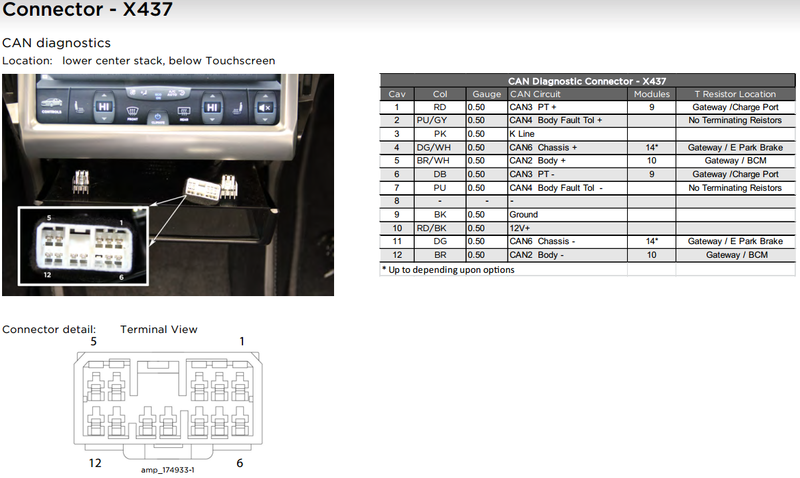 A connection to only one -- the chassis bus (also known as CAN bus 5)-- is necessary to get openpilot to work. 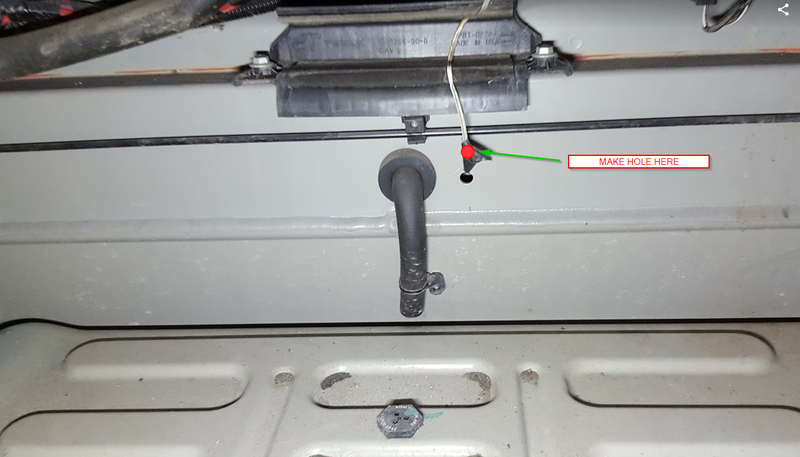 CAN bus 5 will be connected to the "Car CAN" pins of the Neo board (pins 3 and 6 of the RJ45 connector). The AMP connector that plugs into the diagnostic port can be ordered from Digikey. 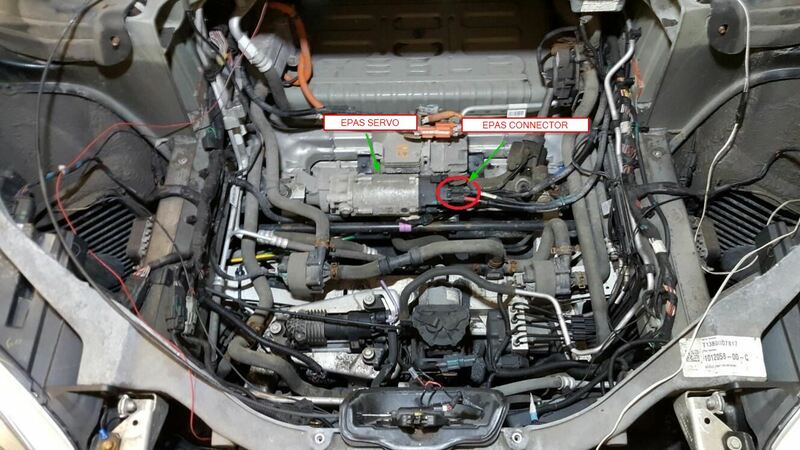 The control systems on a classic Model S periodically send a "kill" signal to the EPAS control module which is located on the EPAS servo which is connected directly to the steering rack. This kill signal is only sent on non autopilot cars. To bypass this kill signal, all communication with the EPAS module needs to be proxied through the Neo board. The Neo firmware will be programmed to proxy all CAN messages to and from the EPAS control module with one exception. It will rewrite the message that disables control of the EPAS servo with one that enables it. This is absolutely necessary and steering control will not work without doing this. 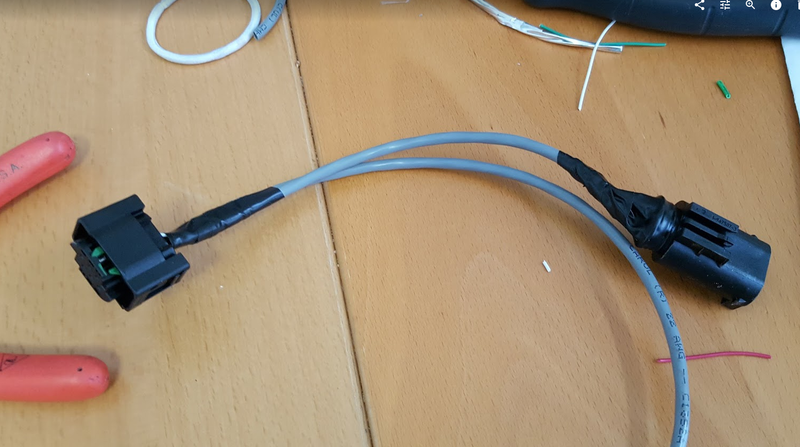 You will unplug connector X164 and plug it into a connector/harness that you'll need to build. The harness has two functions. 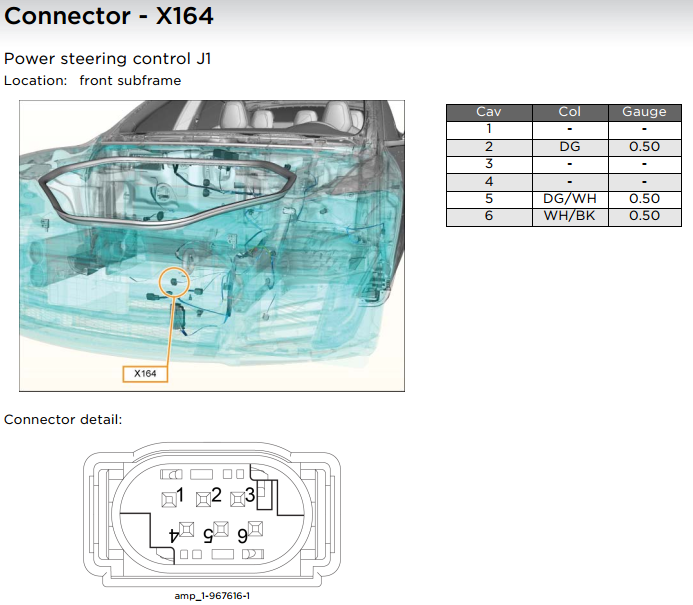 It maintains the ignition on line from the stock X164 and feeds it into the EPAS so that the EPAS knows when the car is "on". It brings the proxied chassis CAN lines from the Neo board to the EPAS. Cut a small 10" piece of wire and strip only one of the conductors. Connect pins 6 on the two AMP connectors with that wire. 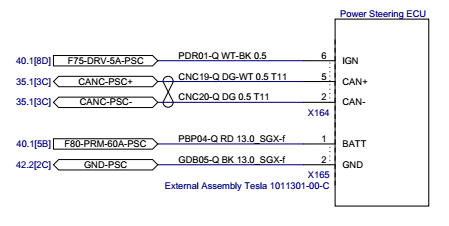 With the rest of the wire, using one of the twisted pairs, connect one end to pins 2 and 5 of the 967616 connector, leave the other end free for now. Close up the AMP connectors following the manufacturer's instructions and put some silicone into each of the pin holes that are unused.